Screenshot from one the more melancholic music videos of Teferi Mekonen viewed more than 200,000 times from the group's YouTube channel. In Ethiopia, journalists and bloggers have long been subjected to imprisonment and terrorism charges, but musicians have been relatively free — until recently. Over the past year, what activists call “resistance songs” have flooded a tiny corner of the Ethiopian internet. But as political music has become more visible in public life and online, Ethiopian authorities have expanded their political repression tactics to musicians whom they see as sympathizers with opposition. Since December 2016, multiple popular Ethiopian musicians aligned with the country's growing opposition movement have been arrested and jailed. Last month, the prominent group of rising start singer Seenaa Solomon was charged with terrorism for “inciting” lyrics and uploading their music video to YouTube. 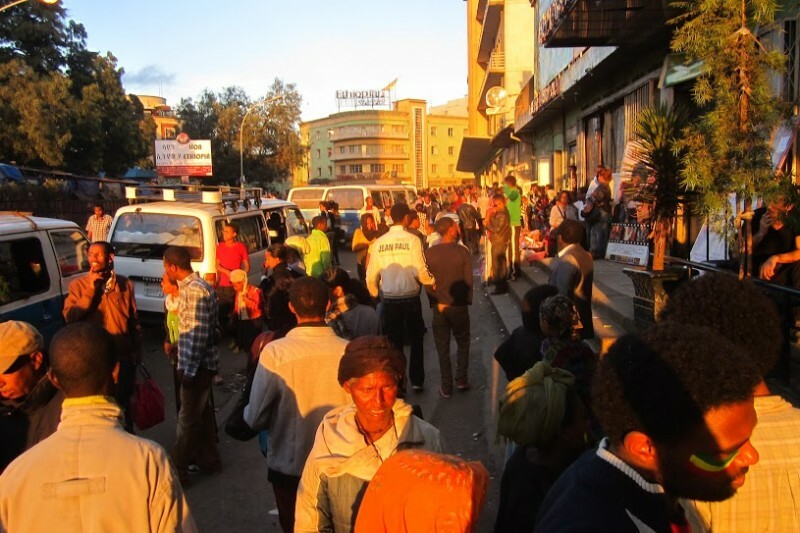 The contentious political environment in which these arrests took place has grown out of the Ethiopian government's plan to expand Addis Ababa, the nation's capital. In 2014, the ruling EPRDF party announced plans to expand the capital into adjacent farm lands of Oromia, Ethiopia’s largest region that is primarily home to the country's largest ethnic group, the Oromo. The plan led to wide-scale protests and a violent government crackdown, ultimately resulting in a state of emergency declared in October 2016 and still effective today. Some say the state of emergency, which was extended to four more months in March 2017 has brought some calm after two years of political unrest. While the state of emergency may be curbing the demonstrations, feelings and narratives of resistance remain alive and well. And Afan Oromo (the region's language) musicians have begun to rise as a visible — and audible — driving inspiration for the opposition movement. For Oromos, resistance songs have long been at the heart of their political movements. However, over the last few months the ‘resistance songs’ have grown louder and angrier in tones and have gained a much larger following. And of late, even Amharic singers who have not sung overtly political songs have joined the chorus resistance songs. Prominent Amharic singer Yehune Belay released a popular Amharic song in which he pleaded with Ethiopian soldiers to stop killing people. Large numbers of YouTube channels and Facebook pages have sprung up, documenting the cultural aspects of the protest. Websites and blogs frequently post resistance songs. On YouTube, channels carrying montages of protest images linked to the resistance songs regularly garner hundreds of thousands of views. Addis Ababa in the late afternoon. Photo by Amanda Lichtenstein. Offline, street CD vendors and small CD rental shops are part of an informal chain of supply of resistance songs for Ethiopians who don’t have internet access. The government has tried all methods to censor ‘resistance songs’. It has arrested singers, denied them gigs and even driven them out of Ethiopia. It haas blocked YouTube channels and jammed diaspora-based satellite television stations. But the government’s tactics in repressing critical singers often seems only to increase the popularity of resistance songs. For example, Yai Gulalle Film, the YouTube channel run by Seena Solomon and her colleagues before their arrest, has been viewed more than 3,525,996 times.